Ball Pets - Jolly Green Dragon *Rare* (Limited Edition) Just $10 Down From $30! You are here: Home / Great Deals / Amazon Deals / Ball Pets – Jolly Green Dragon *Rare* (Limited Edition) Just $10 Down From $30! Ball Pets – Jolly Green Dragon *Rare* (Limited Edition) Just $10 Down From $30! Here’s a great Amazon deal. Ball Pets – Jolly Green Dragon *Rare* (Limited Edition) is just $10 down from $30! Get yours now while it lasts! As Seen on TV Ball Pets – LIMITED EDITION CHARACTER! Attractive stuffed animal is desguised as a soft plush ball that kids can catch, toss, & roll! 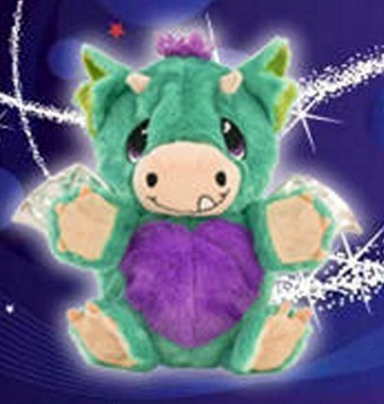 Catches children by surprise when the attractive 9.5″ dragon pet w/shiny silver wings folds out of the green ball!